Searching for your dream accommodation can be fun. However, the process may turn into the complete opposite when what you are looking for is hard to find. Fortunately, The Capital Hotel Group has a range of accommodation options located at their various hotels in Cape Town, Sandton and Rosebank. Here are our favourite options. The latest of The Capital Hotel Group, Capital Mirage opened doors in December 2015 and ever since has been receiving raving reviews, increasing its popularity as one of the best hotels in Cape Town to relax, rest and play. Here are some accommodation options at The Capital Mirage that will have the city lover coming back for more. For the traveller on the go, the luxury studio is ideal as it has a simple yet stylish design. Its facilities include a kitchen, full bathroom and bedroom (king size bed) with a beautiful view over the city. The studio is a 44-metre square living area where style and comfort meet. If you’re looking for a small but spacious place to stay in Cape Town, then The Capital Mirage luxury studio is what you will enjoy. The two-bedroom apartment has all the features you need for a family of four. The main bedroom has an en-suite bath and shower while the second room has a large shower. The apartment has a classically designed lounge and dining room, as well as a fully equipped kitchen and a balcony that compliments the simplicity and comfort of the apartment. The two-bedroom apartment may vary across The Capital hotels; it is available at The Capital Mirage. The Capital on Bath is well known for offering stylish and comfortable accommodation in Rosebank. One way to experience luxury in Johannesburg is by booking accommodation here. If you’re in the city for a short stay but want to enjoy luxury at the same time, then the executive room is for you. 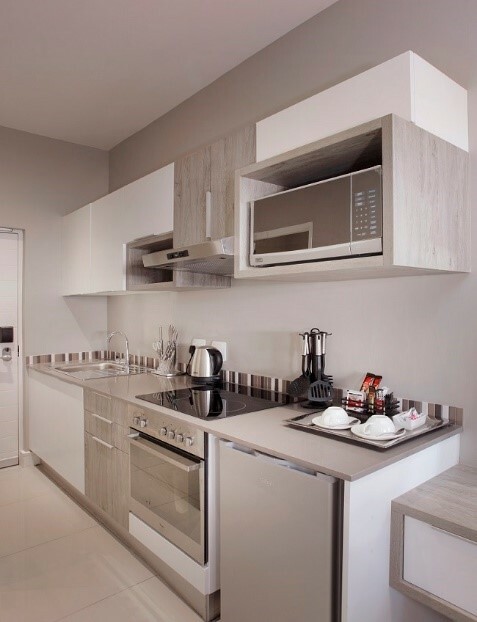 You’ll get to enjoy the features such as the kitchenette, which includes a stove, oven, extractor, and mini-bar. The three-bedroom apartment is the ideal design for a large family or group of people. The apartment consists of two standard rooms and one bedroom, all with en-suite bathrooms. The apartment has a fully equipped kitchen, lounge and dining area. The three-bedroom apartment varies across The Capital hotels and is available at The Capital on Bath. The Capital Hotel Group has three hotels in Sandton that each offer unique and luxurious features and accommodation options. The one bedroom penthouse is a double-storey luxury apartment. The apartment includes an open plan kitchen, lounge and dining space. In addition, the penthouse also has two balconies and a guest bathroom. What more could you ask for? 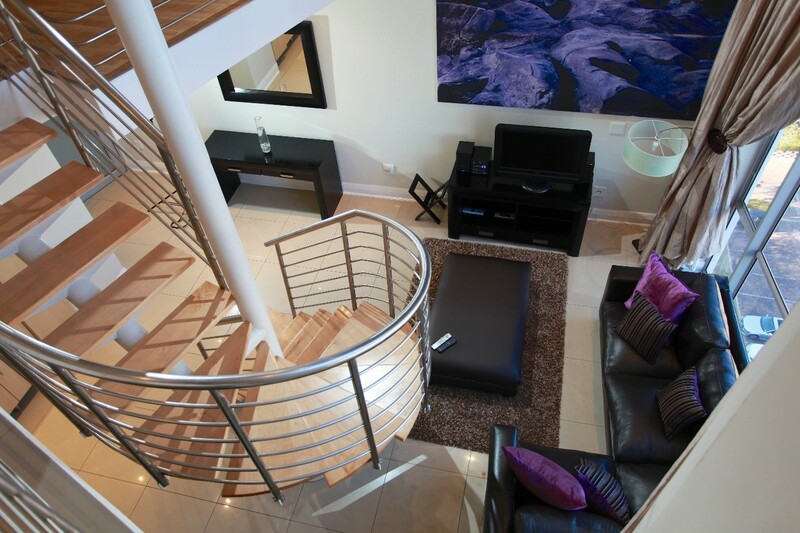 You can book accommodation for the one-bedroom penthouse at The Capital Hydro in Sandton. The three-bedroom penthouse is the ideal accommodation for business professionals, a large group, or a family. The penthouse is well decorated with neutral colours that exude simplicity and comfort. It’s clean and modern touch will have you relaxed in no time. Aside from a relaxing environment, the penthouse caters for every modern convenience. The three-bedroom penthouse is available at The Capital Empire in Sandton. The executive suite is best suited to those on business who enjoy luxury while on the job, as it has all the features you need to make your stay a comfortable one. The executive suite includes a lounge, kitchenette, en-suite bathroom and a private patio/balcony. Book for the executive suite at The Capital Moloko. The Capital Hotel Group has a range of accommodation options to choose from to suit your needs. 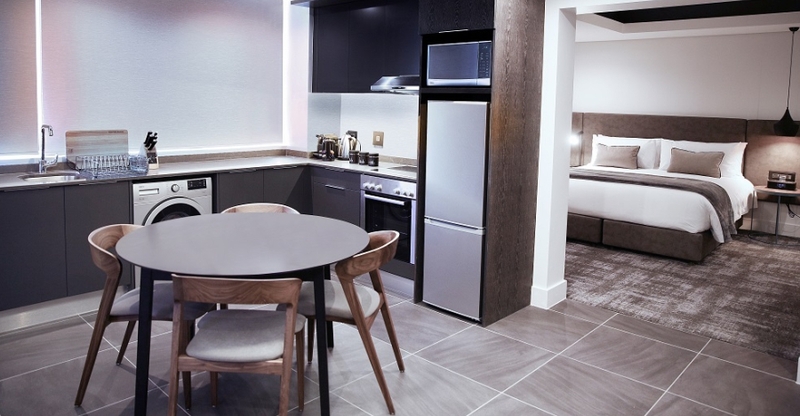 Whether you’re looking for a simple and functional sleeping space or a stylish yet accommodating apartment, you can be rest assured in knowing that The Capital hotels have everything you need.